Prior to being called to the Bar, Van der Walt clerked for Deputy Chief Justice Moseneke in the Constitutional Court; was a legal researcher to the Judges of the Supreme Court of Appeal; and held academic positions at the Universities of Stellenbosch and the Witwatersrand. Contract, company, financial market and administrative law. Prior to his call to the Bar, Nico was a law clerk to Deputy Chief Justice Moseneke in the Constitutional Court and the judges of the Supreme Court of Appeal. As a post-graduate, he studied under Professor A. H. van Wyk. His master’s studies focused on company, intellectual property, international commercial arbitration and competition law, and he read for a doctorate in financial market law. 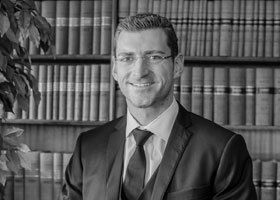 He has lectured at the University of the Witwatersrand’s Oliver Schreiner School of Law and presented guest lectures at the law faculty of the University of Stellenbosch.